Dr. Mukai attained her Doctor of Dental Surgery (DDS) degree at the University of Missouri-Kansas City School of Dentistry and then continued on to complete her Advanced Education in General Dentistry residency there as well. She then moved back home to Hawaii and has been practicing dentistry since 2007. My mom, who was a hygienist, encouraged me to pursue dentistry, so ever since I was 6 years old, I have said that I wanted to become a dentist. As I got older, I realized that I wanted to work with and help people and dentistry still seemed to be the best way for me to do that. By participating in as many continuing education courses as possible, Dr. Mukai continually strives to provide the best, highest quality, and most up-to-date care that she can for her patients. She attends the Hawaii Dental Association Convention annually and takes many other courses put on by various dental organizations throughout the year. 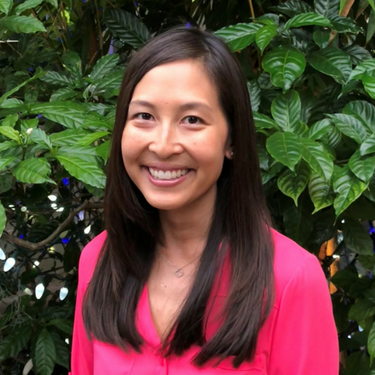 She also is actively involved in the Hawaii Graduate Dental Forum, American Society of Implant and Reconstructive Dentistry Mini Implant Residency Program, and Hui O Hawaii dental study clubs which hold monthly or quarterly continuing education courses. Truly caring about and having an interest in people, Dr. Mukai gets to know patients and their families on a personal level and builds relationships with them over the years. She genuinely enjoys working with children and accepts young patients from the age of 1. Helping patients who are in pain is another passion of hers. At Premier Dental Group HI, Dr. Mukai also educates patients about the importance of good oral health and helps them conquer dental anxiety by providing comfortable, positive experiences at their dental appointments. Dr. Mukai enjoys spending time with friends and family, going to the beach, paddle boarding and traveling. She also loves to volunteer with the Give Kids a Smile program, which is organized by the Hawaii Dental Association’s Young Dentist Group. This is an annual event in which the YD Group and volunteering dentists plan, organize and carry out presentations at elementary schools to educate school students about their oral health and dietary habits. Screenings and cleanings are also performed at the event itself which is open to all children. Contact us today to book an appointment with Dr. Mukai!